I have been contributing images to a stock photography website since 2008, and have spoken to many photographers about making stock photography a part of their business income. 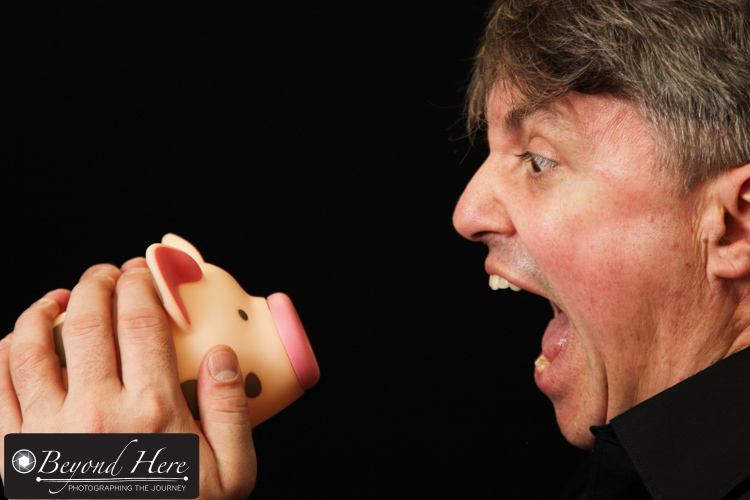 I’m pleased to say that many have added stock photography income to their business. If you are already making money from stock photography or are considering getting into it, here are ten tips to building a strong stock photography portfolio. Tip 1 – Communicate a clear message or concept. Stock images which communicate a clear message or concept are the most popular. Don’t fall into the trap of shooting random images. Decide on a theme and then create images which communicate a clear message. This very simple concept is one of my most successful stock images. Tip 2 – Create flexible images. Often as a stock photographer I won’t know exactly how a buyer wants to use my image. So I shoot with some flexibility to ensure the image is useful to the buyer. That might be allowing extra copy space so that a designer can add text, or to not shoot too tightly so that the designer can crop the image to suit their page layout. Shooting with some flexibility will allow more buyers to use your images. That means more sales for you. Tip 3 – Look for a niche where you have an advantage. Everyone has an niche that others don’t have access to. It is a matter of finding that niche and then turning that niche into strong images. I have an example from wildlife photography. Some people believe wildlife is too competitive to be profitable as stock. I’ve had a different experience. I live in Melbourne, Australia about 20 minutes drive to a large group of flying foxes. 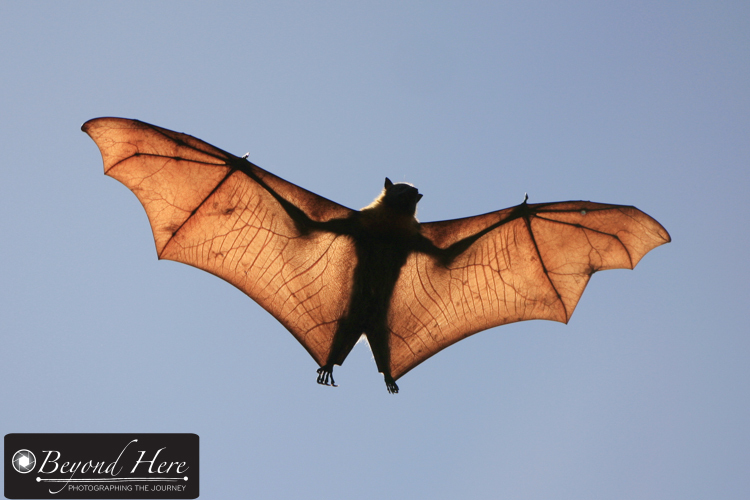 I’ve been visiting them for years now and have developed an extensive range of flying fox images. Not everyone has access to a location like this. It has become a profitable niche for stock images, and sales peak each year near Halloween. Tip 4 – Maintain a steady upload pace. Success in stock photography is a long term game. It is a business model that rewards continuous, steady effort. To do that you need to operate at a pace you are able to sustain. For some that may be five hundred images a year, for others it may be two thousand images per year. Whatever level you are able to contribute at – focus on establishing and maintaining a steady upload pace. Tip 5 – Variety counts. Shooting a wide variety of material gives you the best chance to achieve sales steadily throughout the year. You may be tempted to specialize in Christmas themed images, but if you do that, you will have 2-3 months each year with strong sales and 9-10 months with limited sales. Cast the net wide. Shoot a wide variety of themes. Tip 6 – Expect to have images which never get downloaded. Every stock photographer has images which are unsuccessful. I have over eight thousand images in my portfolio and have hundreds which have not ever been downloaded. So when this happens to you, don’t panic. It is part of the game and process of being a stock photographer. Some files will be successful and others will not. Don’t stress. Learn the lesson and move onto the next concept. The strength of your concept and how well it is executed is important. The gear you use is not. Tip 8 – Organize your files well. Like any type of photography where you are handling large volumes of images, it is important to be well organised. There will be times when you need to go back to old files or want to check the camera settings or date the image was made. Take time to plan for how you will organize your images. Tip 9 – Develop a manageable workflow. Stock photographers deal with large numbers of files. It is important to develop a strong workflow that sees the images coming out of your camera, through post production and uploaded onto your stock photo library quickly. I like to finish editing one shoot and have started uploading it before my next shoot. To do that I need to be very efficient to avoid having a computer full of images which never make it into my stock portfolio. Develop a workflow which suits you, and sees images being added to your portfolio at regular intervals. Tip 10 – Research in advance. Take time to plan your concept and your shoot. Part of this time should be spent in researching what files currently exist. That will give you a feel for the level of competition and the uniqueness of your concept. Thanks for reading these ten tips to building a strong stock photography portfolio. Stock continues to be a steady income earner for me, and can be for you too. For more information please see this post on Why I Shoot Stock. Best wishes. This entry was posted in Stock Photography and tagged microstock, microstock photography, stock photography on September 11, 2016 by Craig Dingle. Hi Heidi, welcome to Beyond Here and thanks for commenting. Organisation is hard for everyone (!) Good luck. For your stock photography, feel free to ask questions here or message me directly. Cheers.